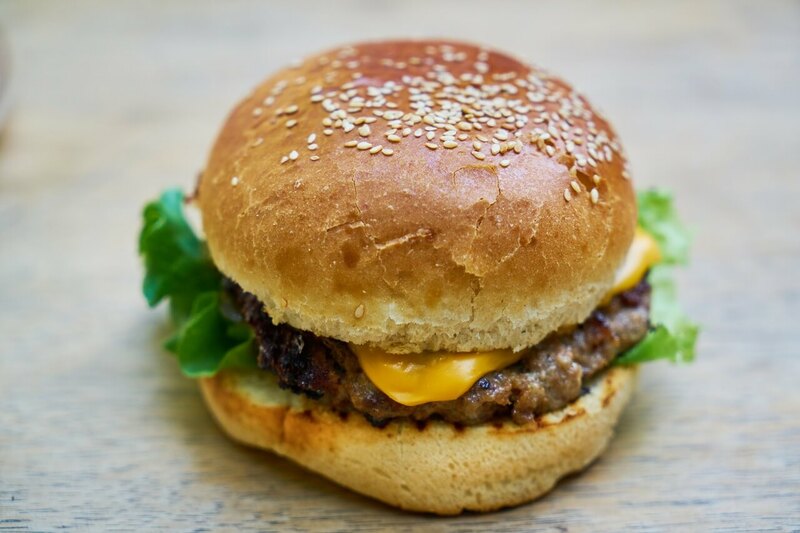 All of our burgers are made with 5 oz. of Certified Angus Beef ground chuck. Cheeseburgers are topped with 2 slices of American, Provolone or Cheddar cheese. Served on a Kaiser roll or hamburger bun. Topped with 2 slices of crisp bacon. Pizza sauce topped with melted mozzarella.